For most parents, teaching our children well starts with teaching them to be kind. From the moment our babies begin interacting with other little ones, we urge them to share their toys, avoid hitting, and think about the effect their actions will have on others. But as our babies grow older and their world expands, many parents begin to wonder: What more can I do to help my child become a kind, caring, and generous adult? 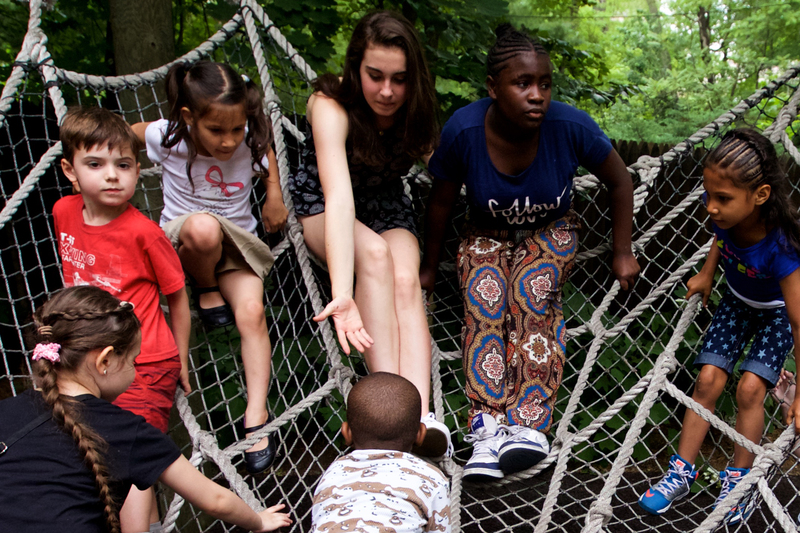 According to Making Caring Common, a project of the Harvard Graduate School of Education and a source of inspiration here at Robin Hood, it starts with empathy. When children possess the ability to take another perspective and walk in another person’s shoes, they are far more likely to help that person up after a stumble. 1) Empathize with your child and model empathy for others. Parents are a child’s first teachers. When we empathize with our children and others, they will notice and emulate us. Putting it into practice: Engage regularly in community service. Better yet, bring your child along when appropriate. 2) Make caring for others a priority and set high ethical expectations. Research shows that American parents from a variety of ethnic groups value caring more than achievement. But too often, we send the message that outperforming peers is more valued than caring for them. Putting it into practice: Ask teachers and coaches whether your child is a caring community member, in addition to asking about their grades or performance. 3) Provide opportunities for children to practice empathy. Children are born with a capacity for caring, but it is developed and reinforced through practice. Luckily, daily life provides many teachable moments for alert parents. Putting it into practice: When you notice someone practicing empathy—or being cruel—point it out to your child. And don’t limit yourself to real-life—TV shows and movies are also great teaching tools. 4) Expand your child’s circle of concern. It’s usually pretty easy for us to empathize with family members, friends, or people who are like us in some way. The bigger challenge is seeing life through the eyes of those who are coming from a much different place than us. Putting it into practice: Start conversations with your children about the people you encounter who may typically go unnoticed — for instance, bus drivers, cashiers, or restaurant workers —and help them appreciate all the things we have in common as human beings. 5) Help children develop self-control and manage feelings effectively. Empathy can be fragile, especially for children. Anger, shame, envy, or other negative emotions can easily overwhelm our ability to shift perspectives. Children, like all of us, sometimes need help overcoming these barriers to empathy. Putting it into practice: The first step to managing our feelings is identifying them. Put a name on what your child is experiencing and encourage them to talk to you about why they feel that way. For more, download full list of tips.